Tiffany, of Girls’ Generation, drew flak Sunday after using an emoticon of a Japanese flag on social media. Tiffany posted a photo of Soo-young, Yuri and herself at S.M. Town Concert’s after-party Sunday, the day before Korea’s Liberation Day holiday that celebrates Korea’s independence from Japan’s colonial rule from 1910-1945. Along with the photo, the singer included Japanese flag and wine emoticons, triggering outrage from fans. 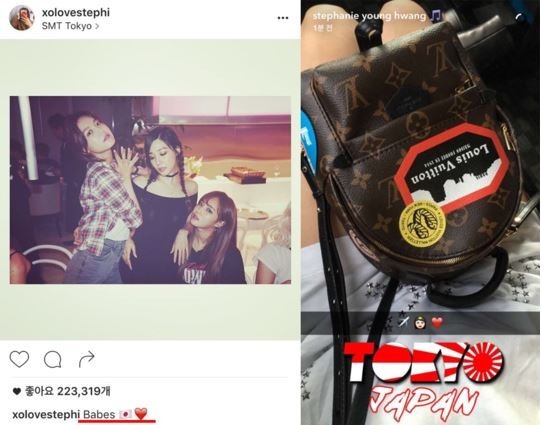 Tiffany quickly deleted the photo, but face a similar situation on Snapchat with a rising sun flag, a symbol representing Japanese imperialism. She explained that she had used the Snapchat function Geostickers, in which a “sticker” themed to a user’s current location is automatically posted with photos.